Soil Engineering & Foundations Industry. 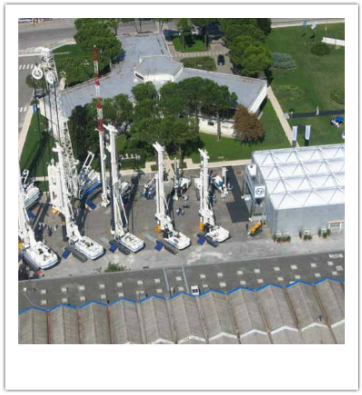 The Open House of SOILMEC S.p.A.
(September 21-23) attracted more than 600 guests from 50 countries, along with over 200 Italian guests. The open house provided an opportunity for participants to improve their knowledge of new technologies by SOILMEC S.p.A., a company of the Trevi Group, which produces and develops equipment for underground engineering. Soilmec's Open House 2006, according to Managing Director, Mr. Simone Trevisani, is a very important milestone in Soilmec's strategy of "building the strongest worldwide client and partners based community, who are loyal to Soilmec's principles and brand, offering them the newest technologies for every need." 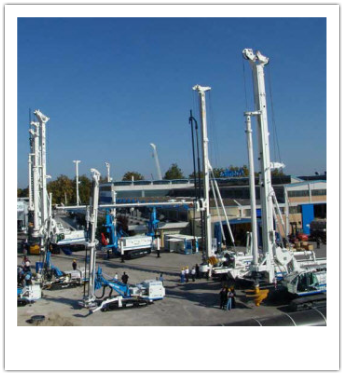 During three intense workshop days, Soilmec S.p.A. presented its newest rigs for underground engineering, which drilled in a specially built test field within the facility. Particular attention was paid to the latest technologies that are currently being developed by the TREVI Group, as well as the presentation of particularly challenging sites carried out due to solid technological synergy between Trevi's operating experience and Soilmec's design capability. Professor Jamiolkowski, globally known for his presidency of the "Leaning Tower of Pisa's Scientific Coordination Committee," presented his geotechnical principles for the execution of large-scale foundation works.